Package includes 6 months of work with two 90-minute sessions per month. Perfect for new and emerging speakers who want to launch or grow their own speaking career or corporate professionals who want to dig deep into their presentation skills for growth and sales. ***After you have paid for your program you will receive an email from me within 24 hours to schedule your first session. Uncover your presentation fears and energizers. Track your speaking triggers so you manage stage fright more effectively. Tap into industry trends so you are perceived more positively. Identify your audience needs so your message is relevant. Identify disconnects between your natural delivery and what you have been doing. Get more speaking opportunities to spread your message. Increase audience engagement with tweaks to your content and delivery style. Identify streams of income beyond your presentation like books, programs and services. Get gigs and opportunities more easily by focusing your topic and sales message. Create a pre- and post-presentation engagement strategy to drive relationships, messaging, and sales. Review ways to close more deals and make more money with presentations!! Would you rather die than have to speak in public? Does the thought of giving a presentation at work create massive anxiety? Would you like to elevate your presentation skills so you can wow your audience or close more sales? Thinking about starting or growing your own speaking career to share your message with the world? Wherever you fall on the speaking spectrum there are tools and strategies that can help you be more confident, craft a stronger message, and deliver presentations that are fun, meaningful, and drive growth for you AND the audience. 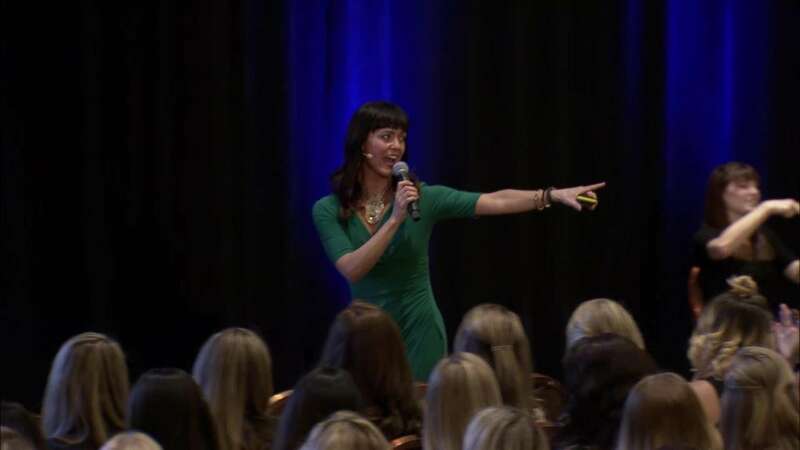 As a long-time, professional, full-time speaker today AND former corporate America leader I can help you conquer your speaking fears, create solid content that educates and entertains your audience, and teach you powerful delivery techniques that will drive home your points and influence the decisions of everyone in the room. Learn more about me here.